Internet retailers are going brick-and-mortar, but what are these brands thinking when they embark on this seemingly impossible journey? Brick-and-mortar is the next biggest thing in e-commerce. No, that isn't an error. Many of the biggest Internet retailers are establishing physical store strategies with the goal of reaching as many consumers as possible through more channels than anyone can count. Just take Birchbox for example. Earlier in 2015, the beauty subscription box provider expanded into the physical retail arena. That venture must have proven successful, since Birchbox isn't slowing down any time soon. New York Business Journal reported that the company has recently hired a few industry professionals tasked with inspiring internal change and expanding brick-and-mortar operations. Former Sephora Canada SVP Philippe Pinatel will offer his omnichannel expertise with regard to merchandising, retail operations and product development. Additionally, Douglas Simpson, a seven-year veteran at Juicy Couture, has already been developing new retail strategies, while Ben Fay was brought onto the Birchbox team recently to improve customer experiences as vice president of that department. "Many Internet retailers are going brick-and-mortar." So, this beckons the question: Why? Why are Internet retailers going through all of the trouble of setting up an actual store?! People still like to "shop"
Brands that only cater to the e-commerce crowd are essentially only catering to half of their available markets. Think about it. There will always be consumers who enjoy going shopping. There's something about walking around malls, slowly browsing books, checking out clothes in person or trying on garments before they buy them that cannot be offered online. As such, specific customers will seek out brick-and-mortar stores over their online counterparts. Want proof? A POPSUGAR study found that more than 60 percent of females buy products at physical shops. Ruslan Kogan, founder of Internet retailer gone physical pop-up store Kogan, explained in a blog post that his business is at a point where going brick-and-mortar makes sense financially and strategically. In short, Kogan wrote that his brand has a huge community, and this in turn means that it has a lot of customer behavioral data. So, Kogan asserted that he knows how to make his retail operation run as smoothly as possible, and therefore efficient as can be. Just as larger physical retailers have slowly but surely made their way online once strategies were in order and resources were allocated, online brands are now doing the opposite. They're becoming more established and well-known, as well as earning enough revenue to be able to afford creating an actual store. It's like 'Inception' when consumers visit a physical store of an Internet brand while browsing a brick-and-mortar shop's website. Nowadays, consumers are practically always on their mobile devices. But, most importantly, they're using them in stores while they're shopping. Commerce-savvy professionals call it "showrooming" - shoppers browse items in retail locations while looking them up online for cheap prices. However, "webrooming" is now a thing as well. Consumers look up products online at all the usual retailers, determine which company is selling them the cheapest and then drive to that store to buy them. It beats waiting a few days for shipping, and sometimes, they can even order online and pick up at a local shop. Omnichannel marketing is more than a buzzword. It is the nature of modern commerce, and more power to successful online retailers that realize the importance of engaging with consumers in a consistent fashion across a variety of touch points. In many ways, we all need to stop thinking about the Internet as the next home for retail, and instead, we should consider online and mobile channels alongside physical stores as buildings in the commerce town. With some investment into each channel, brands are developing a community, with each channel providing for a different need. There is a lot of potential for Internet retailers considering brick-and-mortar expansion. Many of these brands could reinvent their customer experiences by investing in the retail sector. However, to succeed across channels, companies must understand the importance of consistency with respect to offerings, product content and more. 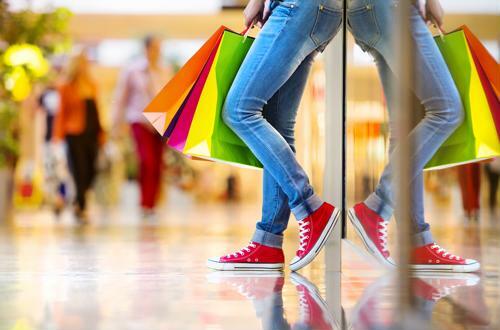 After all, consumers are visiting these new brick-and-mortar stores because they are physical manifestations of their favorite online brands that offer a similar, yet unique shopping experience.